The residents who form the backbone of Accra’s economy live in poor, high-density areas and are open to harassment by authorities. To develop into a fair and livable city, Accra will need to resolve this and other issues of inequality, says Victoria Okoye for UrbanAfrica.net. “Accra has always had a dual personality, right from its beginnings,” says Nat-Nuno Amarteifio. He should know. A historian, he was mayor of the city from 1994 to 1998. With approximately 2,3 million residents, Accra increasingly finds itself at the centre of one of the fastest growing economies in Africa, and like many major cities on the continent it is still dealing with its colonial past. Officially, Accra is the Accra Metropolitan Assembly (AMA), one of 11 assemblies within the Greater Accra Region. However, the city sprawls beyond the assembly boundaries, embracing its neighbours in a wave of urban and peri-urban development that has come to be known as the Greater Accra Metropolitan Area. From its beginnings, the city was home to two distinct narratives, one foreign and the other local. “There was an original African city, based upon clan relationships, and there was the colonial, the world of European import,” says Amarteifio. Though there was contact between the two, it was the European world, internationally oriented, that largely benefited from the support of government, banks, and other agencies. European contact first began in the 15th century with trade between the indigenous communities and the Portuguese, then the Dutch, and finally British colonisers. For over 80 years (1874 to 1957) the British consolidated their influence administratively and physically, with the capital first at Cape Coast then moving to Accra. Residential segregation, and town planning and public works investments that concentrated on only European and affluent areas, neglecting poor areas, lead to the bifurcated development of the city space. This spatial development matched economic access, with the wealthy and internationally mobile – the Europeans during the colonial period and affluent Ghanaians and expats today – settling in the city’s middle and upper-class neighbourhoods. With little government intervention to help the poor, informal settlements grew. The legacy of this history is that 80 percent of the city’s population lives in low-income high-density areas, mostly working in the informal economy. Only three percent reside in affluent areas, such as Airport Residential or in the newly developed fully serviced estates, which are becoming a common feature in well-off neighbourhoods. The remaining population lives in middle-class neighbourhoods, such as Adabraka, Dansoman and Asylum Down. In July 2011, the World Bank re-categorised Ghana from low- to lower-middle income status, reflecting the impressive economic growth, thanks in large part to the country’s oil production in the last few years. Though Accra’s benefits from oil revenues have so far been indirect (oil drilling takes place in the western region near Takoradi, four hours away), as the country’s administrative and commercial centre, where international and commercial entities reside, the city has certainly enjoyed the fruits. Accra’s economy, estimated to be about 5,8 billion Ghana Cedis (about $3billion), 10% of the national GDP, is based on the service sector, which also accounts for the largest share of the country’s GDP at 48 percent (2011). And half of Accra’s working population is involved in some aspect of it. Underpinning this is the informal economy, with the majority active in the service industry. As informal work is not documented it is hard to officially claim it as a driver of the service sector, but with four out of five residents engaged in some capacity, the makeup and contribution of the informal economy is immense, vital and hard to deny. Government policy and regulation, however, either overlook this fact, or work against it. The overriding political line has been that the city is achieving economic growth in spite of, rather than in large part thanks to, the people toiling in the informal sector. From time to time, AMA attempts to curb the city’s most visible form of informal activity through the passage of byelaws that prohibit street-level sales and market trading without permits. In late 2010 they cleared the pedestrian walkways of vendors through force and harassment. Overall the demonstration was unsuccessful because hawkers have since returned to many of their locations. The increasing population presents many challenges for AMA, the authority that oversees and regulates planning, infrastructure, primary and secondary education, markets, and lorry parks. “AMA has sweeping powers…its problem is the ability to enforce them,” Amarteifio explains. Resource and personnel shortages at the enforcement authority have hampered its ability to regulate building across the city, resulting in the manifestation of many informal neighbourhoods without any services. Amarteifio says the city “is caught between the obvious need to house its residents and a shortfall of funds with which to provide these services”. With these challenges, AMA is unable to keep pace and effectively check unauthorised development. “AMA will come, they’ll even write ‘STOP-AMA’ on the structure,” says Dominic*, a resident of Mallam. “But before you know it, the structure is finished, and people are living in it.” In early 2012, it was reported in several Ghanaian newspapers that AMA, led by Mayor Alfred Vanderpuije, was embarking on a citywide programme to demolish illegal structures that encroached on land around one of the city’s main water supplies. This was met with protests from evictees, which culminated in an enquiry by the Human Rights Advocacy Centre, which concluded that AMA violated UN conventions and has recommended that the city put in place a planned programme to resettle people or to compensate them before embarking on any further evictions. Given the resource issues AMA faces, it remains to be seen what happens next. The constraints also impact the authority’s ability to deliver key services to many parts of the city – this despite the relative success of various utilities and companies to build infrastructure. Ghana’s electricity supplier generates power through a mix of hydroelectric and natural gas sources. And, in recognition of the development expected in Accra and Ghana in the next decade, two thermal power plants were completed. Yet, lack of sufficient investment in maintenance has allowed city systems to fall into disrepair, causing power overloads. In addition, illegal connections have caused energy losses. 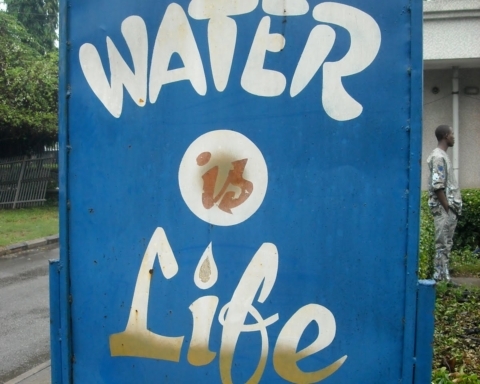 Ghana might be one of the only five African countries to have achieved the Millennium Development Goal of access to safe drinking water, but Accra struggles to meet its water demands due to leaky pipes, pipe bursts, illegal tapping of water mains, nonpayment of bills, and inaccurate metering. And while AMA spends three-fourths of its budget on sanitation and waste management, the system is still characterised by choked drains, littering or improper waste disposal and uncollected refuse throughout the city space. Overall, the quality of the city’s roads is high; major thoroughfares are paved, two and three-lane dual carriageways link to secondary and residential roads, and new major roads are underway, connecting outlying areas to the city. But the infrastructure bares a bias towards motorised transport, and the rise in private vehicle transport, at 15 percent of total mode share, has become a major culprit for massive traffic congestion. Seventy percent of residents still travel about via tro-tros. These secondhand, mid-sized buses are the backbone of the urban transport system, mostly due to their affordability and extensive coverage of the city’s routes. Cycling and walking would be viable alternatives were it not for the lack of supporting infrastructure like bicycle and pedestrian lanes. All this is happening in the undercurrents of unequal economic development, unplanned spatial growth and immense informal commercial and residential development. While some of these factors serve to drive the economy and sustain it, others challenge the perception of the city as an increasingly wealthy space full of opportunity and potential, especially for the very people driving its success. Planning is essential to ensure that Accra’s development is strategic, equitable and sustainable. Strengthening AMA – the capacity of its personnel and its financial well – will give it “teeth,” so to speak, and is the foremost concern to handle Accra’s current struggles and future needs. “If you’re looking at neighbourhoods, for example, you need inspectors who can go around, you need the manpower. AMA is very, very short on manpower on that basis. In other words, the city is frankly too big for the bureaucracy that’s running it,” says Amarteifio. 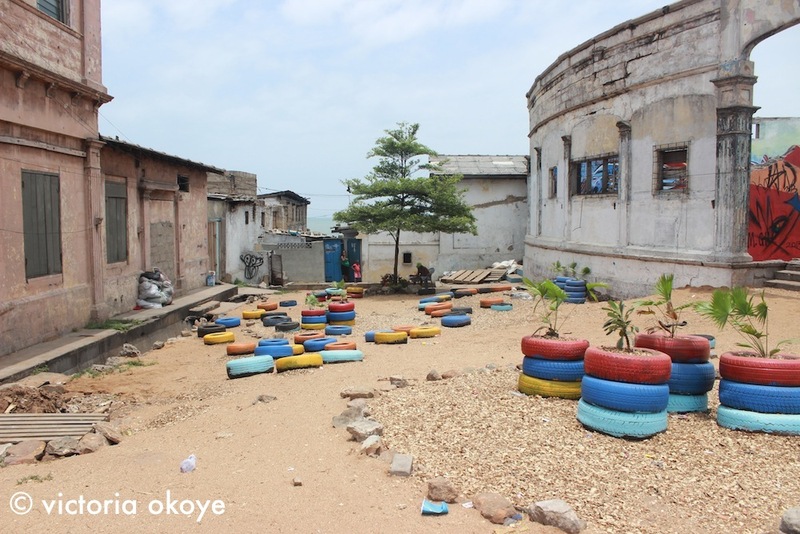 Accra also needs to find ways to formalise the city’s informality, using equitable methods. It will be a major determinant in ensuring Accra can develop as a just city. The razing of vendors’ kiosks, banning them from public and commuter spaces is an untenable fix to a deep issue. Inclusive planning that recognises the essential contributions of these workers and brings them out of invisibility can serve to address long-standing socioeconomic divides and support further economic development for the city. 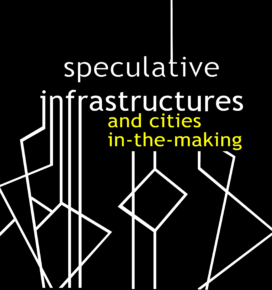 Finally, identifying means to communicate planning goals and incorporate communities within the planning process can build a powerful imagined ownership of the city space. The question must be asked: Accra for whom? To develop Accra as a productive, equitable and livable city, spaces must be created for community contribution and for communities and residents themselves to voice their needs and desires for the city space. 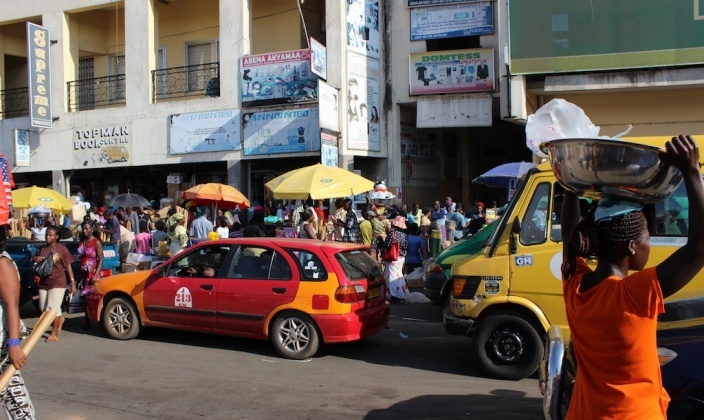 Next Story Next post: How do we measure “livability” in African cities?